When this challenge was announced I thought of storm clouds. My original design was sketched out and patterns made, but somehow the choice of fabrics was not suitable. I then made the decision to use hand dyed silk for my background and hand dyed silk organza for the clouds and ocean. I did not want to cover the entire sky area with the black organza, so decided to cut irregular rectangles. 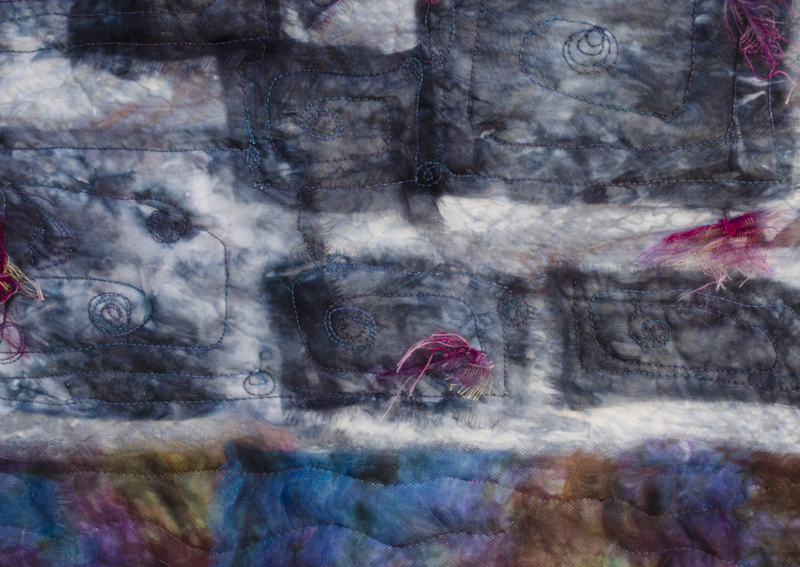 I first diagonally quilted the background silk, then when the “clouds” were in place, I free motioned a simple design. The ocean is several layers of silk organza and tulle, to give the impression of a turbulent ocean I did a simple wavy free motion quilting stitch across the piece. To add some touches of colour, I hand sewed torn scraps of a open weave silk fabric. 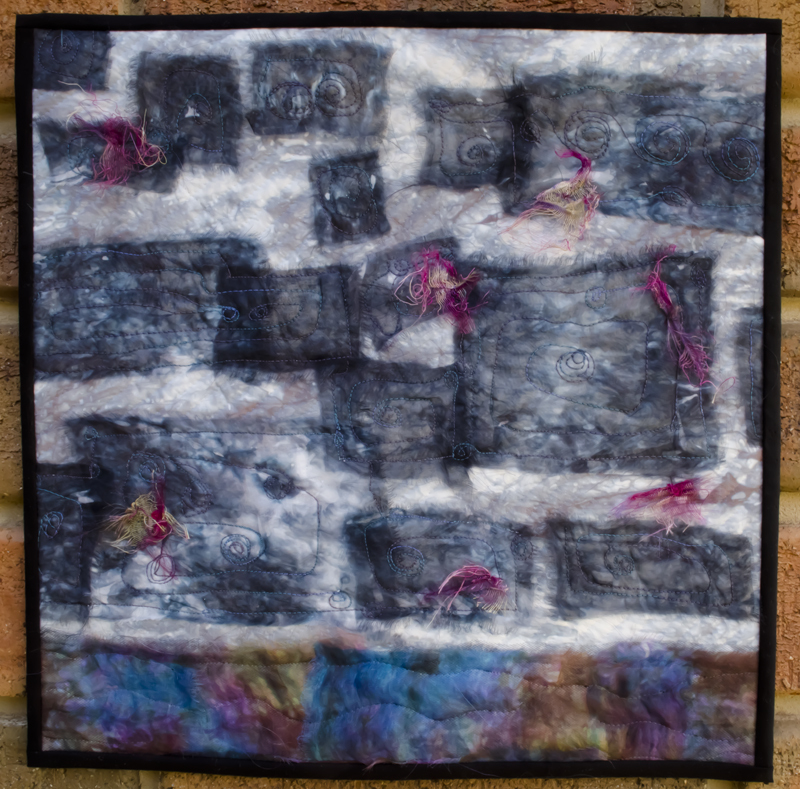 While the quilt is abstract I think it conveys the impression of dark clouds gathering over the ocean. Kaylene, I had thought of doing gathering storm clouds, but I would not have come up with such a great interpretation. I would have done something much more realistic which I don’t think would have been as good. Fantastic job!